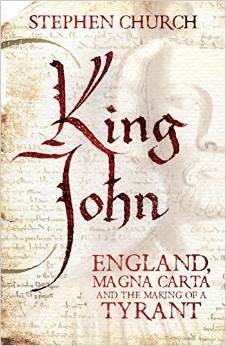 He’s probably England’s most maligned monarch but does King John really deserve the bad press he’s had over the centuries? On Saturday 13 June, author Stephen Church will be at Compton House in Newark to talk about his new book celebrating the 800th anniversary of Magna Carta, in which he sets out out to disentangle legend and reality. Enjoy a three course meal as he tells John’s story, exploring some of the reasons why his reign went so disastrously wrong and discussing his connections with Newark. Tickets are £35 each, to include a glass of wine and coffee – click here for the full menu – and overnight accommodation is also available at a special price of £75 single or £85 double. Places are limited – for more information or to make a reservation, email info@comptonhousenewark.com or call 01636 708670. I visited Lincoln cathedral recently and managed to see the Magna Carta there. Amazing to think that this actual document (not far off 1000 years old) was there in front of us!